Unilever deodorant Sure is teaming up with Chelsea, Everton and Southampton to drive awareness among the brand's key audience and offer a number of fan experiences. 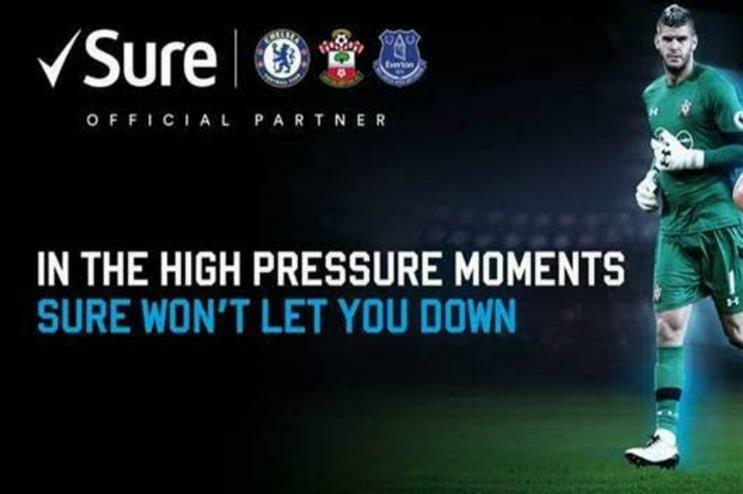 The Sure campaign will intrinsically link the brand’s approach to high pressure moments often experienced by players, managers and fans within football. The multi-platform campaign will see Sure creating a host of ‘money can’t buy’ experiences to offer in bespoke consumer competitions, alongside regular content on a football-dedicated Twitter channel, which aims to showcase that confidence to perform in the moments that matter, can often be the difference between winning and losing. As part of the club sponsorship deals, Sure will also receive a number of partner rights including LED advertising, tickets and hospitality and access to players. These include oppportunities for fans to watch their teams train at the clubs' training grounds and on their pre-season tour, accompanied by a meet and greet and tickets to their subsequent games and the chance to win a coaching session with Southampton Football Club. Fans can also win behind-the-sences experiences on the morning of a match, such as 'being the kit man'. Claudio Bellen, senior brand manager of Sure UK & Ireland, said: "We are thrilled to announce our sponsorship of these three top football clubs. Football is the most watched sport in the UK and is a key passion point for the brand’s target audience. Through our partnerships with the clubs, the brand will aim to leverage money can’t buy experiences and tickets to engage with consumers, whilst also providing exciting content and unique insights to add to their overall spectator experience through social channels." The campaign will also see Sure partnering with Perform Group to launch the Opta powered ‘Goal Pressure Index’ – a bespoke algorithm developed to analyse player performance under pressure. The Pressure Index and its formula will take into account key considerations such as time of goal, position in the league, specific opposition and rivalries when determining how well an individual player has performed under pressure across the season. The rating system aims to give fans further insight into player and team performance, all showcased through weekly preview and review shows streamed via football publisher Goal. Unilever brand Dove offered pampering sessions in London and Manchester last May, as part of its Dove Soft Feel Powder Room activation. Its Impulse deodorant brand also staged an event giving guests the chance to re-invent themselves.